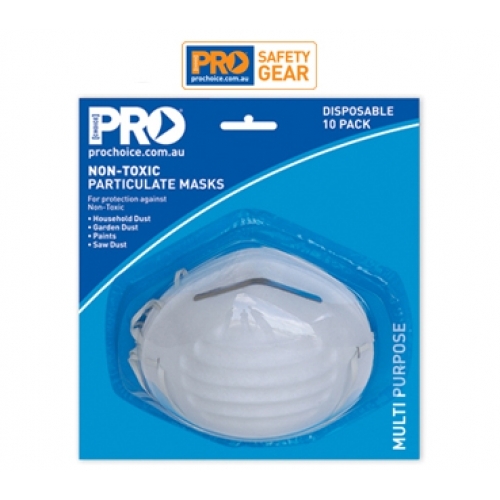 The ProChoice Non Toxic Dust mask is a lightweight mask for comfortable, extended wear. The aluminium nose-piece can be moulded to individual comfort and seal. Comes in a box of 10.